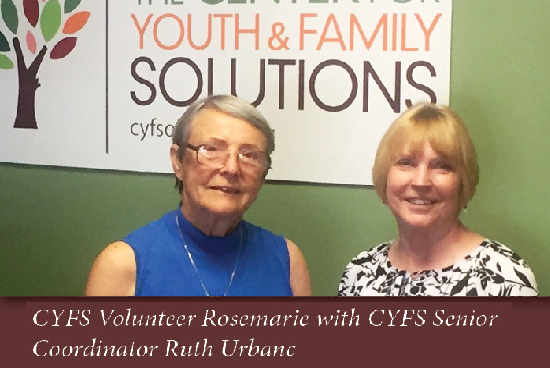 If you ask Rosemarie why she volunteers at CYFS, she will tell you it is because, “there’s a lot of people who have nobody.” She just wants to be that somebody for them: a companion. Rosemarie is a volunteer for the Friendly Visitor’s Program, which is a part of our New Day Senior Services, serving seniors in Fulton, Marshall, Peoria, Stark, Tazewell and Woodford Counties. The program involves individuals helping isolated seniors in the community, aiming to combat their loneliness and assist them with activities in their daily life. 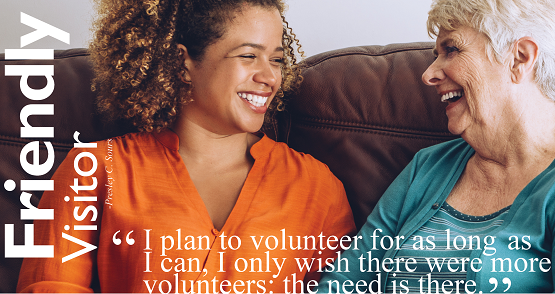 The activities the volunteers coordinate with the seniors can be anything from running errands, transportation to and from medical appointments, or to simply be a friend. The ultimate goal is to improve the quality of life for the senior and build a bridge to connect with the community.